Get the exact dimensions of the site. Hire a surveyor and get the survey of the land. It will help you figure out the geological and hydrological structure of the site. The main entrances and the main road abutting the site also has to be noted. Easy accessibility to the site is very important for any kind of project. But of course, the significance varies if we are to compare an industrial project with residential project. After spotting the major landmarks, analyze the integrity of their existence in close proximity to the site. It is essential to know as to what kind of impact would these structures have on our site. Mark the orientation of site. Orientation of site will help you in orienting the structure correctly in the process of designing. We have to study the micro climate and macro climate of the place in order to design a Bio-climatic structure. We have already discussed Bio-climatic Architecture. You must give a read before advancing further. It will give you a clear idea of the Bio climatic aspects to be considered while designing. The site location and detailed site analysis will give you an idea of the economic feasibility of the project. It means that the type of building or construction you are looking forward to proposing on that site would be a successful venture or not depending on the conditions of the site. If you propose to build a five star hotel on a highway, it would not be economically feasible because you would not have the kind of users you would like to target for your venture to become successful. Hence, going for a construction of a Highway Restaurant would be much more feasible. Apart from environmental Sustainability, we are also looking at Sustainability in terms of construction. After the absolute study of the site, one can conclude on the kind of project to be executed, its feasibility and also its sensitivity to be shown towards designing the structure and the site as well. Also check out the “Guide on Site Planning”. This entry was posted by Benzu JK on August 19, 2011, 1:17 am and is filed under Thesis Project. You can follow any responses to this entry through RSS 2.0. We would gladly like to help you with your project. But first I would like you to study Sustainable construction and technologies used before we discuss as to how you could incorporate it into your design. This will give you an idea of the difference in the planning and design of the police head quarters in your country and abroad. Also study about Sustainable structures…not necessarily sustainable police headquarters. After you have sufficient knowledge to discuss, we can then discuss it together and ask for different opinions from experts and other students and then come to a conclusion. Minimum of two live casestudies have to be done by you. We can then discuss the scope of your design and the methodology in which you should progress. Hope to see you back with some study on your project topic. thank you so much for such useful information! 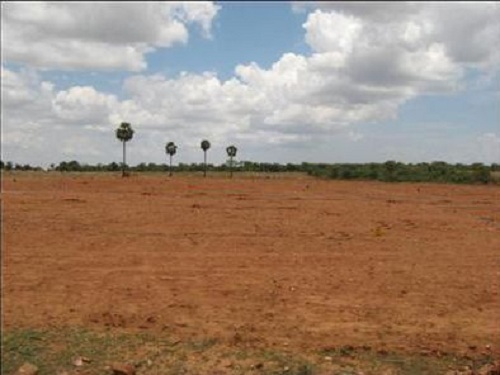 Does the site have to be barren land? Could it be a site that has farmlands or maybe a golf course, which could be scrapped out and considered as barren land? I need to select a site in delhi, but am unable to locate a big enough site in the midst of the city…..please help me out! Is this your thesis project?? In this case, you are not allowed to assume things. You can definitely consider farmlands but not golf courses. It would also depend on the topic of your project. If you want we could discuss your design topic on the blog. This will help you as well as others. i’m astudent at architecture college and i wish from you to help me by supply me with useful data ,information,drawings,and and standards of international airports design,because my graduation project is international airport in sinai ..please help me to design a good airport . hello maam me parul jain .. of 3rd year b.arch …. hi… im a final year student of architecture doin my thesis as an automobile manufacturing plant… so can u help me in this by sayin wat s more imporrtant in lookin towards the site!!! hi, i’m michael architecture student. please give me some tips for my proposal “city Hall”. I am glad to hear from you. I am assuming that you have already done your literature case studies as well as live case studies. So write to me about all the requirements you have listed for the city hall design and I will give you my feedback on how you could proceed with design. it is ideal to buy a land in private owner if your proposal is a city hall? I am not sure if I understood your question clearly. Could you elaborate please so that all of us could help you through? Hii i am nimit and my thesis project is ‘ORPHANAGE AND OLD AGE HOME” so can you plz give me some tips for my design concept how i can start with concept for orphans and old people …. There are some really good institutions which you should consider for your casestudy. Let me know what you think. This would be a very good way to initiate a discussion. Heyy evry1. I’m studying achitecture year 2 nd im findin it really hard to design a house, its like ive lost my creativitt wen it coms to designin houses…..wat should I do pls? Designing is a skill and takes time to learn. You should practice drawing more often. This will help you brush up your sketching skills which are important when it comes to expressing your thoughts on paper. Browse internet for house design ideas but don’t simply copy them. Having a look at different house designs will give you lots of design ideas. Check out floor plans, elevations and 3d views. I hope this helps. Hi, Im doing thesis on seafront development with hotel/resort. Could you please tell me, where to get standards for open space (like park) design based on tourist flow…. You could check out Time Saver Standards for Landscape Architecture. That is one huge resource. what project should i carry out on my thesis topic Heritage conservation? what can i design for this? Well, you can take up an existing heritage building which is in ruins and not in a very good condition. You can work on the importance of why heritage buildings need to be regenerated and work on its designing. You can’t design a NEW heritage building. It has to be an existing one that you would like to consider. i am final year architecture student , and my thesis topic is ”media city “-designing a hub for all the visual media. so is their any standards while designing the channel station and can you please help me with some tips related to this topic. Hi, am Felix. Am doing my thesis on ‘PLATEAU SOUTH BAPTIST CONFERENCE: Towards effective acoustic control in church building in nigeria. I need more literature on acoustics and what are the criteria in choosing a site for church building. You can get all the information you need about acoustics in any library physics textbook. You can use a variety of excellent sound absorbing materials during interior design of a building to make it acoustically suitable for a Church gathering. It is all about material sciences. I have designed a Church before. There are no specific criteria for choosing a site for a Church building. It is just a large building. Any site of sufficient area would be fine. There may be local zoning regulations governing where you can build large public buildings, which generally depend on the available infrastructure like roads, parking and accessibility of fire trucks. But generally, any site is fine. my thesis project is aerospace museum..please guide me with what factors should be considered while choosing a site for this project as i am finding difficulties in it.also which books should i refer for literature study of the same topic. 4) make sure there are no other aerospace museums in the city. Also refer to the factors mentioned in the article and use it like a checklist. For museums you could refer to Times Savers Standards for literature study. Also, browse the internet for literature casestudies. You will find plenty of examples. Keep me updated with your project progress. hello, my thesis project is air and space museum. what factors should be considered while choosing a site for air and space museum?please help. 3) Open site ( with greenery around) – this is what people love. Cant think of any other factors at the moment specific to your topic. But the factors mentioned in the article should be considered as well. Keep me posted on the progress of your project. hi sir/ma’am.. im in my final year in architecture and wondering if you can help me for my thesis, it’s a “vacation village: amalgamation built forms and the nature” . is my title sound okay? and can you also help me for some tips regarding my proposal? hi sir/ma’am..im in a final year in architecture and i’m wondering if you can help me for my thesis. “vacation village:amalgamation of built environment and the nature” is my title sound okay? and can you help me for some tips regarding my proposal? Sounds very good. That is going to be a large project. Define what your objectives are for this thesis. This would be critical. Estimate how much time you may require for this. If time is short, cut down the scope of your project. In my opinion, completing the thesis on time is more important than the thesis itself. Once you have your main objectives of the thesis defined, things will become very easy. Thank you for enhancing my title ? , actually ma’am my main objectives is to provide an alternative vacation destination featuring sustainable built forms in a relaxing place that incorporates tropical architecture. Ma’am, I also have another topic which is health club or fitness center. I just want some suggestion how I can make this one more convincing to be a thesis title. What supporting topic can I add for this? A leisure hub maybe? Thank you for enhancing my title (smiling face) , actually ma’am my main objectives is to provide an alternative vacation destination featuring sustainable built forms in a relaxing place that incorporates tropical architecture. A leisure hub does sound interesting and could be very well accepted as a thesis topic. Since this is not a substantial design project which is what is expected at the final year level, you will have to work a lot harder in detail. You will also have to include interior detailing to clear your final year thesis. Also use plenty of 3d renderings to express your ideas. They make your portfolio catchy and interesting. Good luck! Keep me posted. i am currently in 5th year and i am planning to do Site analysis/Site development for my dissertation. Yes of course we can. If you post your thesis topic and your plan as to how to plan to achieve your aims and objectives of your thesis project, we will assist you wherever possible. It appears that I am late in responding to your question. I would be interested to know how far have you reached with your project. hi sir/ma’am..im in 4th year of architecture and if you can help me for my thesis. “ornithological centre” … can you help me for some tips and case studies regarding my proposal? Hello….I am final year student of architecture and my thesis topic is orphanage.Can you please help me find out important factors to be considered while designing orphanage.what kind of site is appropriate for designing orphanage?And where are the best places for doing case studies? Location: You must choose a site preferably in the outskirts of a city/town. Casestudies: Visit a few orphanages so that you can compare them. Comparative analysis is the best method to learn. I wouldn’t recommend which orphanage to visit. You will have to research and find out. Hi, I am on my final year of architecture and currently working on my thesis project “Factors in designing a state of the art kidney centre promoting patient/resident-centred care” and one of the critical factor that I must consider is the criteria for site selection and preferably in regional areas because there has already been built kidney centre in our city “The National Kidney and Transplant Institute”. The problem is where should I strategicallyput the project with consideration of environment and proximity in other necessary establishments that a kidney centre needs. I don’t see why there cannot be two kidney transplant institutes in one city. If you don’t think you would want to propose one in your city, then you would have to look outside of your place which would probably be more difficult. Here’s a link to one of my favourite articles… Use it as a guideline to conduct a casestudy. In my opinion you have chosen a very good topic. You should never worry about what it sounds like. The topic you choose should interest you without which you will not be able to design something extradordinary. Concentrate on designing the tourist resort in the best way you can. All the best! I’m a final year interior architecture student. My thesis project is based on a space for deaf and speech impaired people. However my aim is to encourage face to face communication between non-disabled people and deaf/speech impaired people. Could u please advise me on the factors that i should consider to choose an appropriate site for such a project. I look forward to have a reply from u soon. Thank u. Sites for such institutions are best suited away from the hustle and bustle of the city crowd. I like your topic however i would suggest that you rethink about your concept. When you say your aim is to encourage face to face communication between non-disabled people and deaf/speech impaired people, you should first have a clear idea of how you intend to do it. The concept has to be realistic. Focus more on design rather on fancy concepts would be my advice. I am a 2nd year student if architecture. We were given a project for performance spaces with capacity of 500. What are the factors to be considered? And how do I design a hypothetical site? I believe you have already begun designing the above mentioned project. Remember the tip I am about to give… Whilst designing any project, you must first do a couple of case studies of the existing spaces and list all the spaces in them. Figure out the area of spaces and compare both the cases. You will then have an idea of what is lacking and what you can do to improve it. my name is garima. I’m 5th yr student my design topic is acedemy of martial art. I hav’t find any proposal in india. can u hlp me to finding a site. That would depend on what your topic is. Also are you required to select a real site or a fictional site?